In order to maximize the gameplay experience of our buildings we made rough blockouts of our buildings based on references. 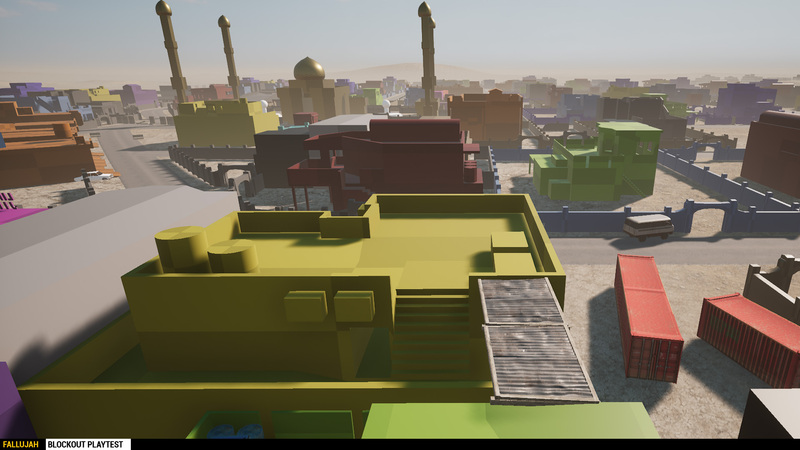 After we blocked out 15-20 buildings we threw together a test map and playtested them. During this stage we weren't concerned about textures or materials, we focused on spacing and variety of gameplay for this district. After a few adjustments we were happy with the blockouts. 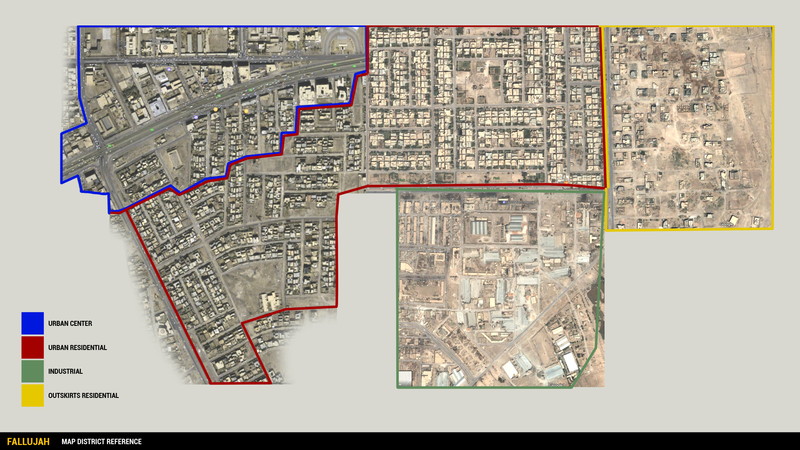 The team then took them through phases to get the buildings to a final state while creating other assets for the district. 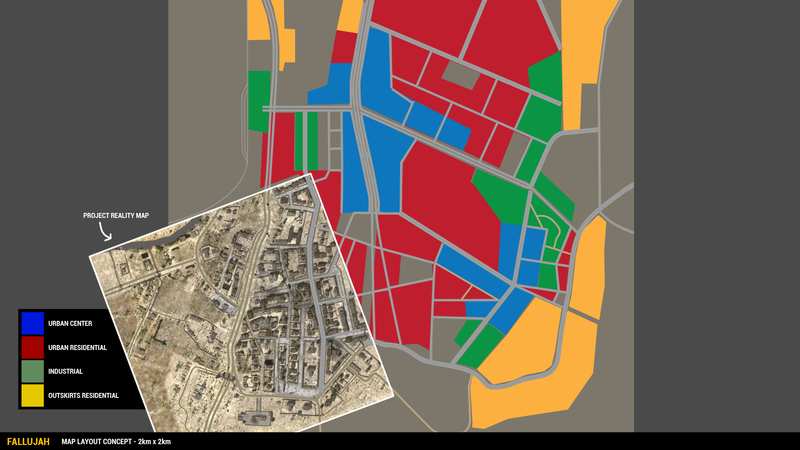 The end goal was to make a "vertical slice," a section of the district that represents the target visual style and quality for the rest of those areas of the map. Being a small team we always look for ways to make our workflow more efficient. To save up on production time and resources we've introduced procedural materials to our pipeline. 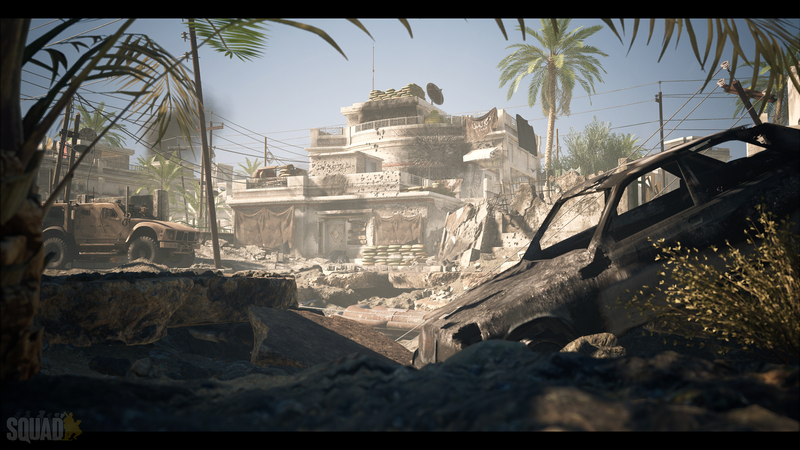 Vehicle wrecks are an asset which add a lot of character and drama to a scene - and we wanted to do them justice. However, creating vehicles is always time consuming and can be costly in terms of memory footprint. With this in mind, we decided to reuse our existing vehicle models and repurpose an existing shader to "wreck" them. Using this smart material, we can procedurally blend between various states of damage, such as burnt paint and ash. 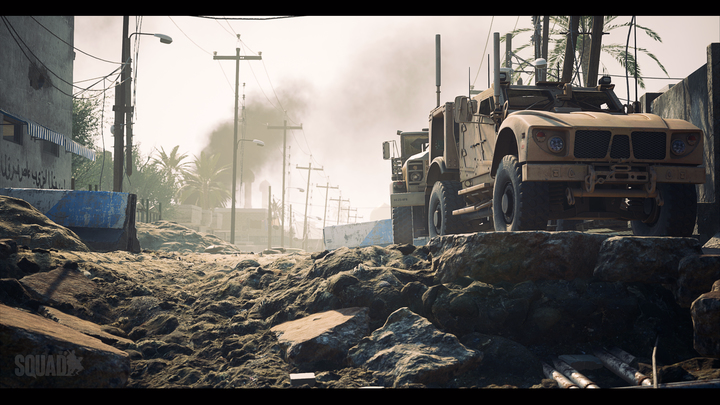 The technique also allows the artist to edit each vehicle in real-time without the need for time consuming asset reauthoring. Both the method and texture set is not unique to any single asset and so can be reused many times - making it inexpensive, versatile and time efficient. The level of detail in our vertical slice is our ambitious goal for key objectives of the map but for performance reasons may not get fully realized, but as they say, "Shoot for the moon, even if you miss you'll land among the stars." That concept art is fantastic. 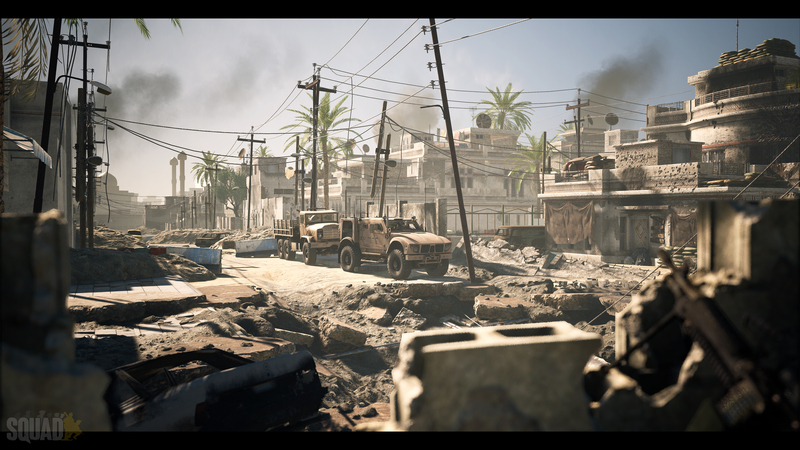 We've been waiting a long time for Fallujah and it looks like its been worth the wait. Great work, lads. interesting. thank you for the insights, @oxygencube. also, nice composition of this street scenes. Also I'd like the insurgents to get their own Mercedez benz techies !!!!! Oh yeah! 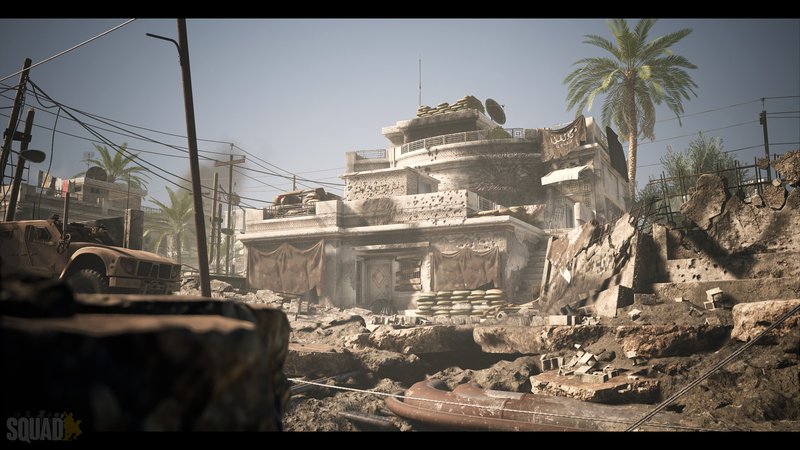 Fallujah looks sick! I look forward to playing it! When I seen the update I thought it was released with it, I must be mistaken? this looks like some next gen stuff... awesome!!! Holy crap! It looks like a different game. As a non PR personal, I am very excited to see this. Thanks all the devs for the works you have given into this game itself! If you can use the really time burnt shader on burning vehicles that would be epic.